Our bodies don’t store amino acids the same way we do carbohydrates and fats. We utilize amino acids for a host of processes causing it to have a high turnover rate. The amounts we do store are known as amino acid pools. Once we breakdown protein into amino acids, they pass through the liver and enter the bloodstream becoming part of the plasma pool of amino acids. This is a collection of essential and non-essential amino acids. In total, this pool contains around 100g of amino acids. So what does this have to do with protein variation and why it’s important? Proteins are vital for the body to grow and build. We don’t store them to the same degree we do carbohydrates and fats creating a high turnover rate. Proteins are broken down into subunits called amino acids. Of the 20 amino acids, there are 8 essential amino acids we must get from the diet. 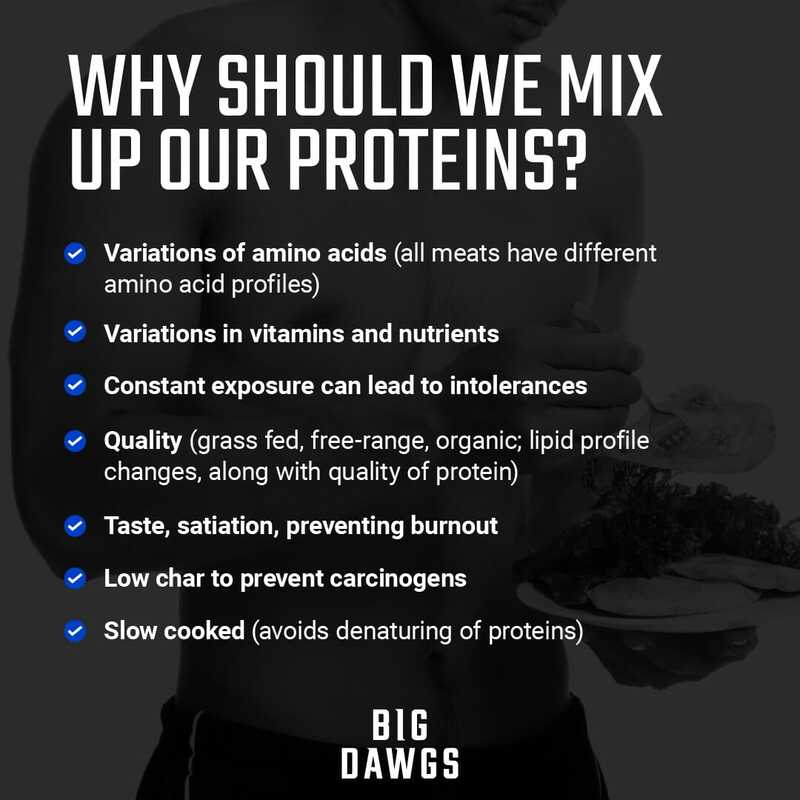 Having a wide variety of protein sources in the diet will allow for adequate amino acid intake and maintain great palatability, satiation, and pleasure from your food. When preparing your proteins, choose the highest quality sources as this will affect the lipid profile of the protein. Additionally, cook them with care to prevent denaturing of the proteins and when able slow cook the protein to help break it down further allowing for easier digestion. Lastly, don’t forget to chew it well.